This easy to make recipe has a unique flavour. We call it Mahjong Chicken and it’s a must-try. Using the dump recipe method, this meal can be assembled in minutes and then frozen. It can be cooked in the crock pot or in the oven. My neighbour and I loved the taste of this recipe, but we weren’t sure what to call it. Given some of the Asian flavours like the fish sauce, Chinese 5 spice, and thai sweet chili sauce, we decided to name it Mahjong after the game that originated in China. In a large resealable freezer bag, place the chicken breasts and then dump all the other ingredients on top. Remove the excess air before sealing the bag. Freeze. Dump the bag contents into a casserole dish and bake covered at 350° for 55 minutes. Place chicken and sauce into the slow cooker and cook on low for 4-5 hours. 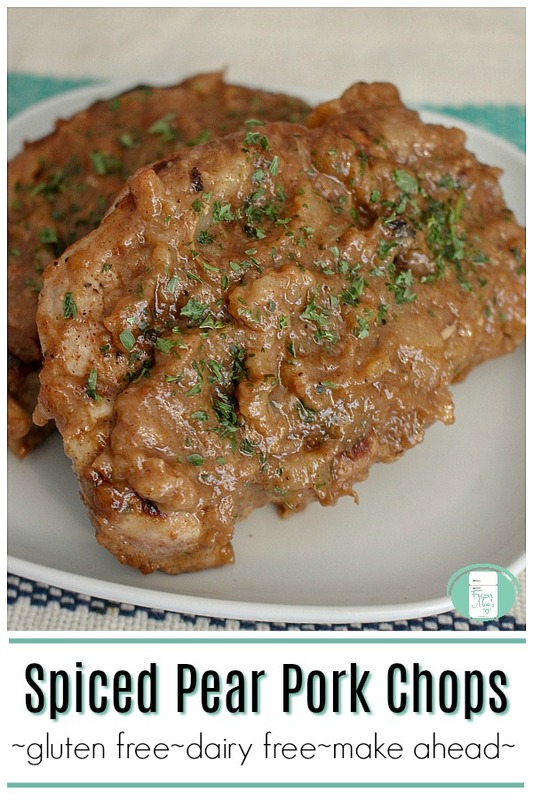 You can find other simple to make chicken recipes in our Chicken Dump Recipes cookbook. It includes printable labels and grocery lists, making it easier than ever to get dinner on the table. 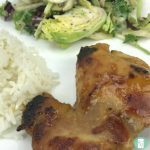 Instead of chicken breasts, you can use 8-10 boneless, skinless chicken thighs if you prefer. One of the concerns a lot of moms have about diving into freezer cooking is whether or not their kids will actually eat the meals. I completely understand! I’m the mom of 7 kids and there are a few very picky eaters in the bunch. The last thing you want is to spend all that time and money making freezer meals and then have your kids refuse to eat them. Obviously, you know your kids best. If they refuse to eat mushrooms, don’t choose recipes full of mushrooms (or get sneaky and blend them well!). If they are sensitive to spice, tone down the spices called for in the recipe. I find that there are some generalities when it comes to food that appeals to children. If it has pizza flavours or tater tots or can be eaten with their hands or is served on a bun, then most kids like it. This list may include recipes that you know at a glance won’t work for your kids because you know their preferences. Skip those of course. But I’m pretty sure you’ll find some freezer meals kids will actually eat on this list. Instant Pot Pizza Casserole – Generally, kids love pizza and pasta and this has both. Tater Tot Pizza Casserole – Tater tots and pizza is a combination made with kids in mind. Tater Tot Casserole – This is hands-down my kids’ favourite meal.They would eat it every day if they could. I wish it had some veggies in it! 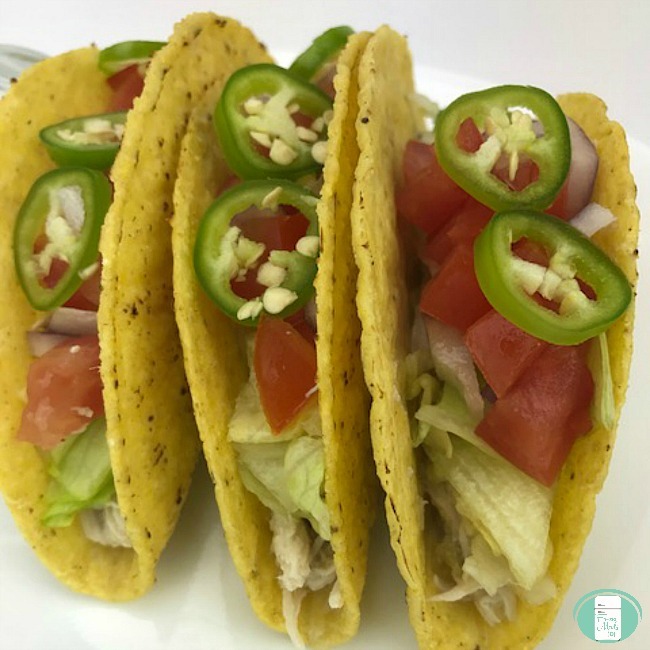 Salsa Verde Chicken Tacos – Tacos are a surefire win with my kids! Best Ever Freezer Meal Spaghetti Sauce – It’s hard to go wrong with spaghetti. 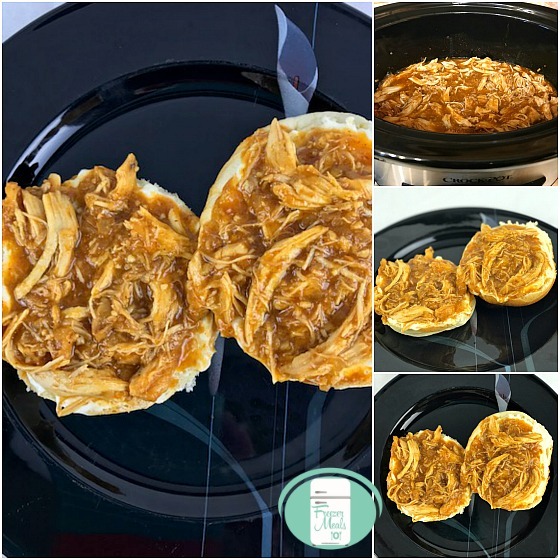 Buffalo Chicken (made on slider buns) – My kids completely devoured these! BBQ Pulled Pork – This is great for hot summer days because it cooks in the crock pot. I usually bring this freezer meal camping with us. 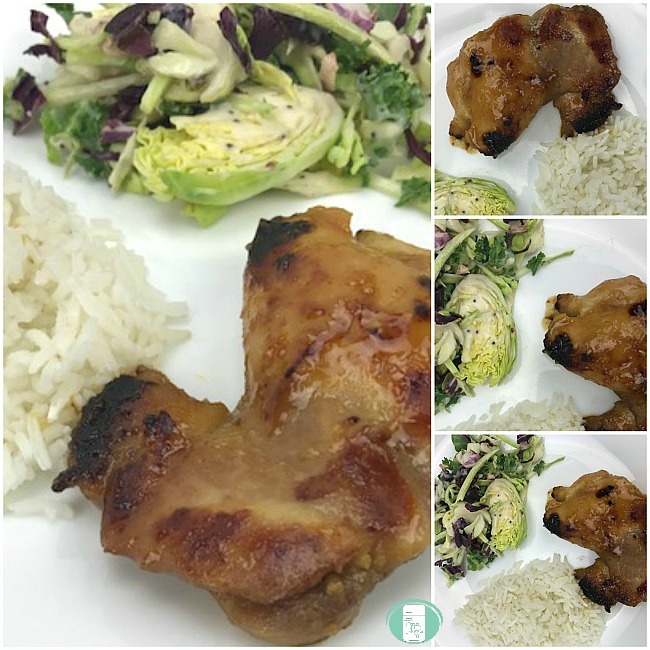 KFC Style Chicken – Your kids will be amazed that you were able to make KFC chicken at home. Chicken Pasta Bake – This pasta bake is comfort food at its finest. 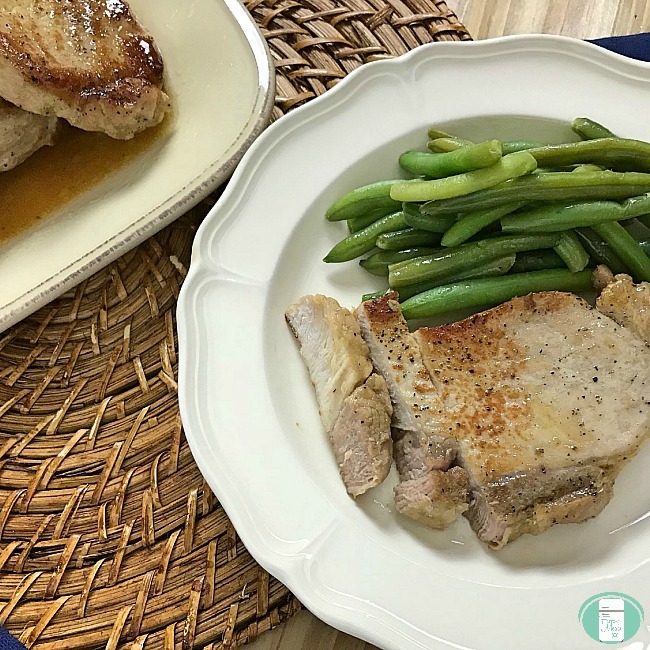 Make Ahead Apple Pork Chops – This recipe is a good introduction to pork chops for kids because of its subtle sweet flavour. 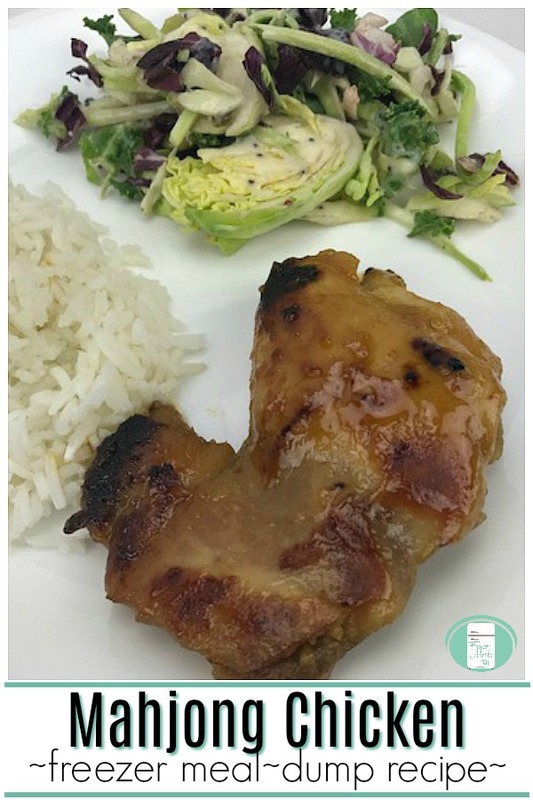 Lemon Garlic Chicken – This SUPER easy to make chicken dish has mild flavours and goes over well with little ones. 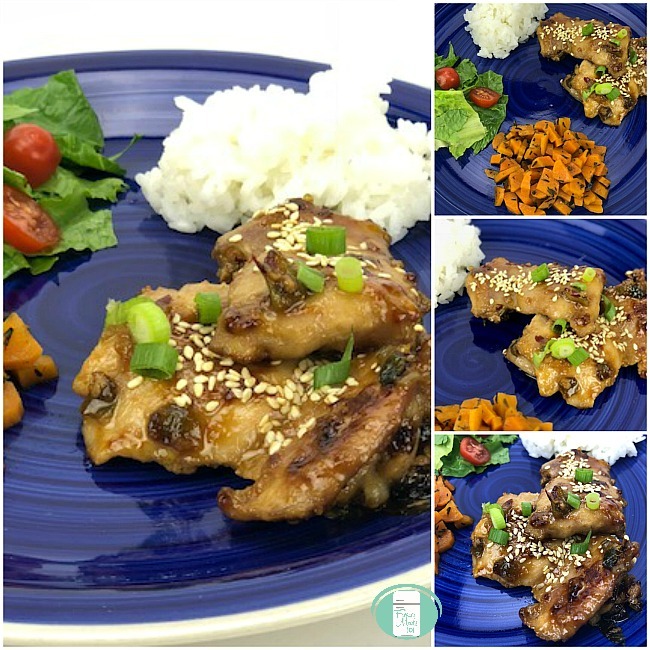 Apple Maple Chicken – This dish offers enough sweetness to be eaten without complaint. Chicken Strips from Happy Money Saver – Homemade chicken strips are less expensive and healthier than the frozen store bought variety. 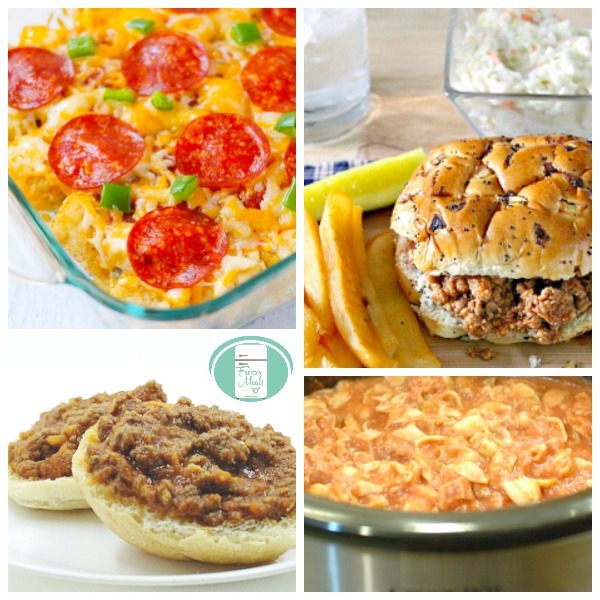 Sloppy Joes from The Chaos and The Clutter – I have childhood memories of eating Sloppy Joes in my mom’s kitchen and now, my kids will have memories of eating my recipe. 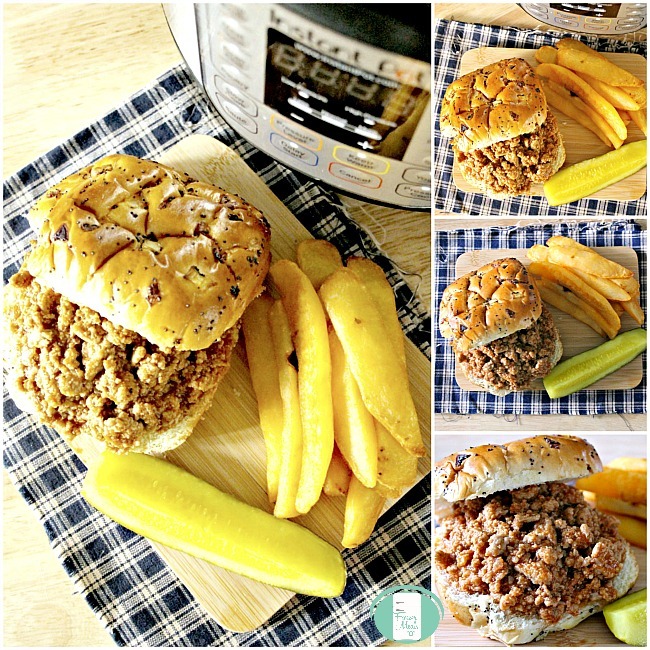 Turkey Sloppy Joes – I call these the gateway recipe for ground turkey! Droolworthy BBQ Shredded Chicken with Garlic Mayo – We all love this recipe. The garlic mayo really makes it. Easy Chicken and Veggie Casserole – The crispy onion topping is what makes this one so family friendly. 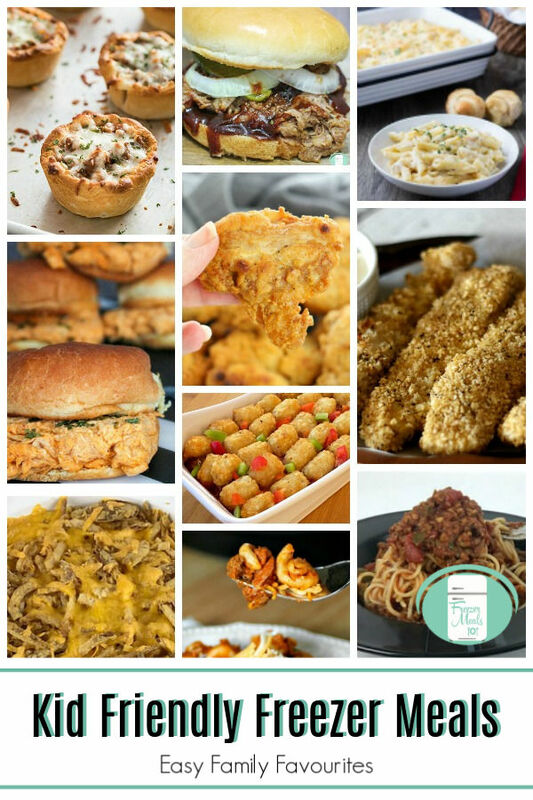 Make things easy with the Kid Friendly Freezer Meal Plan. It includes make ahead recipes kids will love along with shopping lists, prep lists, and printable labels. 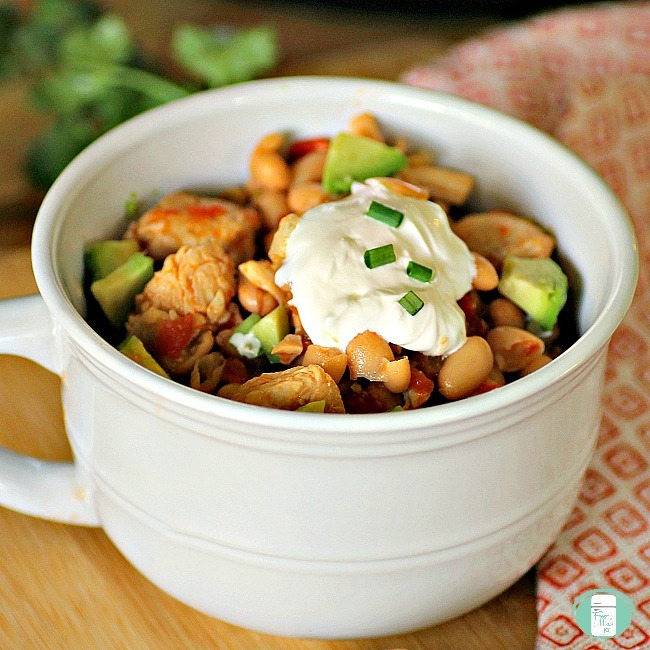 A cold day is the perfect time for this Instant Pot white chicken chili. It’s hearty, yet light. This recipe freezes beautifully, so it’s great to make ahead and pull out on busy weekdays. Growing up, we only ever had beef chili. 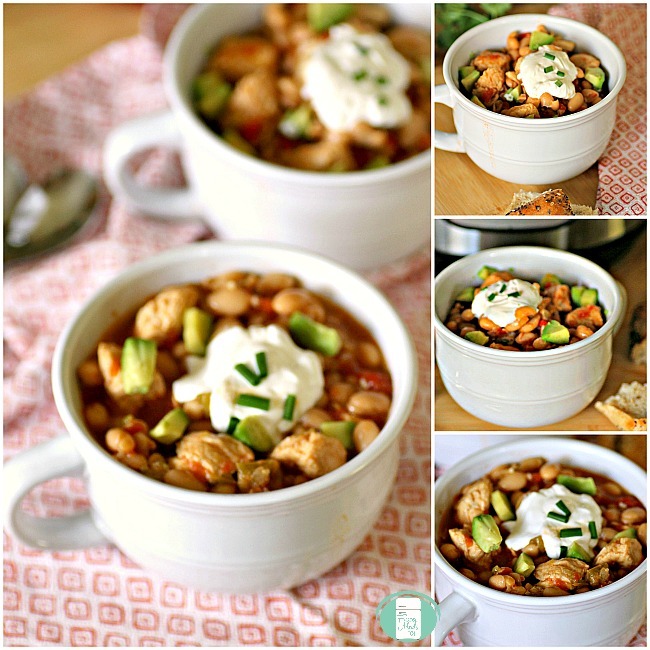 In fact, I hadn’t even heard of chicken chili until a few years ago. 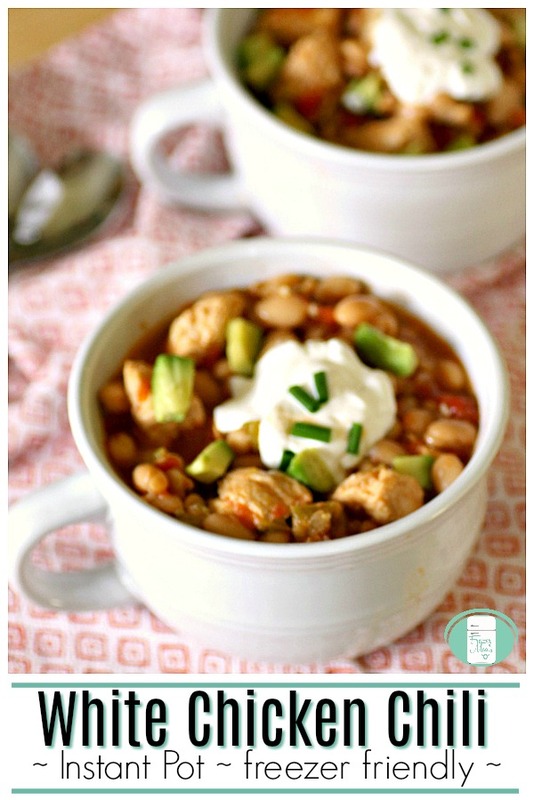 Although regular chili is still a comfort food for me, in some ways, I prefer the less heavy chicken chili. Chop the veggies and cube the chicken. Set your Instant Pot to the Sauté function. Add the olive oil to allow it to heat up. Next, add the onions and garlic and cook for 2-3 minutes or until the garlic is fragrant and onions are translucent. 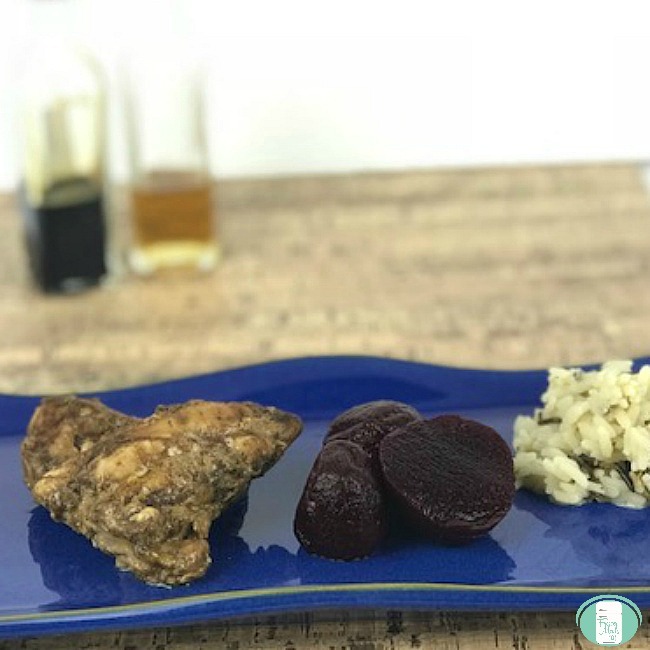 Place the chicken in the Instant Pot and cook until no longer pink. Add the taco seasoning, green chilies, tomatoes, tomato paste, and red and green salsas. Pour in the chicken broth. If you like your chili to have a more liquid consistency (similar to a soup), then add 2 cups. If you like it thicker like traditional chili, then just use 1 cup. Add the beans. Give it a stir to mix everything together. Close and lock the lid on the Instant Pot. Make sure the vent is closed. 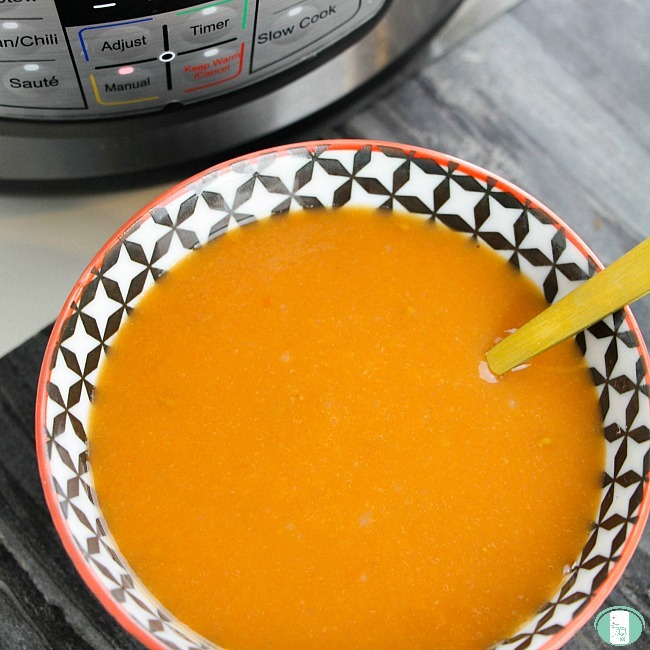 Set the Instant Pot to 15 minutes. Allow the pressure to release naturally for 10 minutes. Afterwards, open the vent to release the remaining pressure. Sprinkle with your favourite toppings. Allow the food to cool a bit. Place it in a large resealable freezer bag or silicone reusable freezer bag. Take out the air, seal, and freeze. Or you can put it in smaller freezer bags to create individual portions. Take out of the freezer to thaw. Reheat in the microwave or in a large stovetop pot. 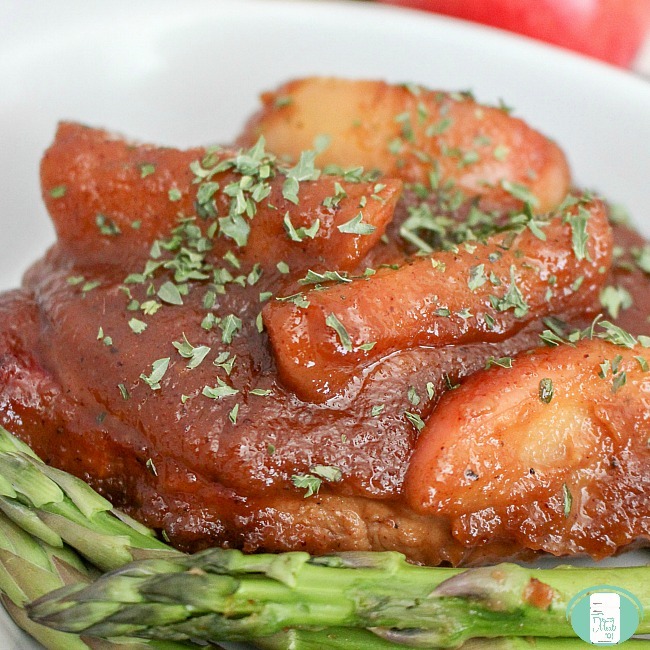 Serve these pork chops topped with spice pears to your kids and you’ll get no complaints. With ingredients like cinnamon and vanilla, it’s practically dessert for supper! This meal can be made ahead and frozen. That makes for an easy supper midweek when you have a crazy busy schedule. No one will suspect how easy it was to cook. This recipe requires slightly more prep than most of our freezer meal recipes do to make the sauce, but it’s worth it. I do recommend that because of this, you make several of this recipe at once. It takes just a minute or two more to cut more pears and the rest of the steps take the same amount of time whether you make one meal or four. If you take that extra minute or two, you’ll be able to pull one of these out for supper every few weeks. It’s such a nice feeling knowing that there are meals ready to go in your freezer! Peel, de-seed, and chop the pears. Heat 1 teaspoon of the oil in a small saucepan over medium heat. Add the prepared pears, 1/2 teaspoon of the cinnamon and the nutmeg. Cook, stirring and mashing the pears continuously, until the “sauce” is thick and the pears are tender. This will take about 7-9 minutes. Remove the pan from the heat and stir in the vanilla. Allow to cool while you prepare the pork chops. In a separate bowl, combine the remaining cinnamon, salt, paprika and pepper. Place the pork in a large resealable freezer safe bag or a silicone reusable freezer bag. Seal. Place the spiced pear topping in a medium sized freezer bag and seal. Staple the medium bag to the one containing the pork chops. Be sure to staple above the seal to avoid leaks. Take the bag duo out of the freezer to thaw. Heat 1 teaspoon of oil in a skillet over medium-high heat. Add the pork chops and cook them until well browned and cooked through, about 6 minutes on each side. Top with the sauce and cover for a minute to allow the sauce to warm. Serve. Sprinkle with a bit of parsley if desired. 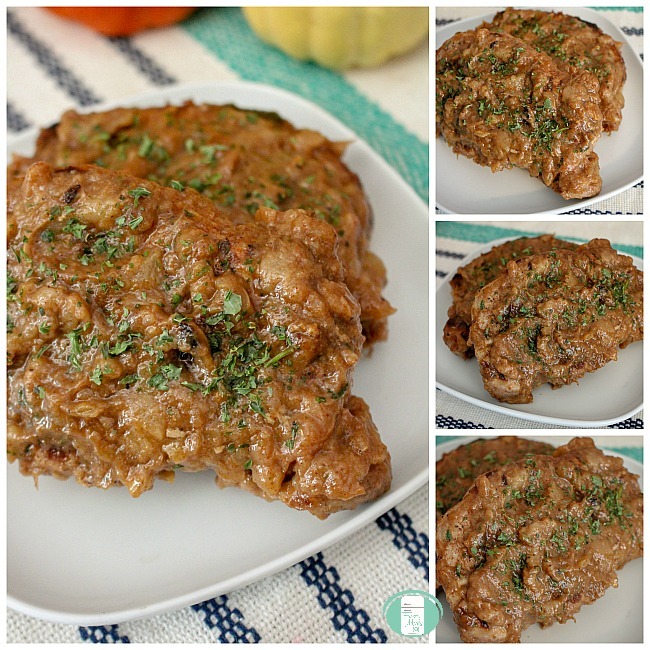 This easy family recipe is gluten free and dairy free, making it versatile for many diets. 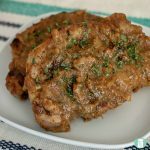 Looking for other easy family freezer meals? Our Family Favourites Meal Plan includes recipes, shopping lists, and printable labels to take the guesswork out of dinners. Cook, stirring and mashing the pears continuously, until the "sauce" is thick and the pears are tender. This will take about 7-9 minutes. 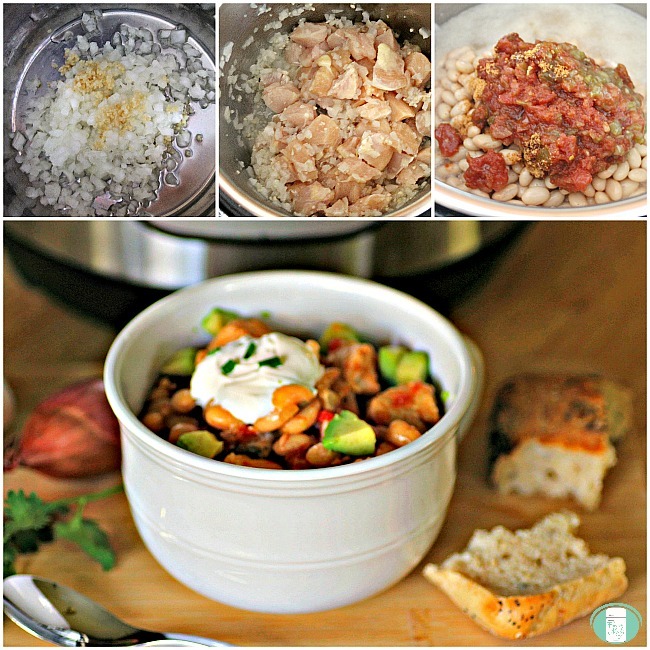 Dump recipes are the fastest way I know to make delicious suppers. 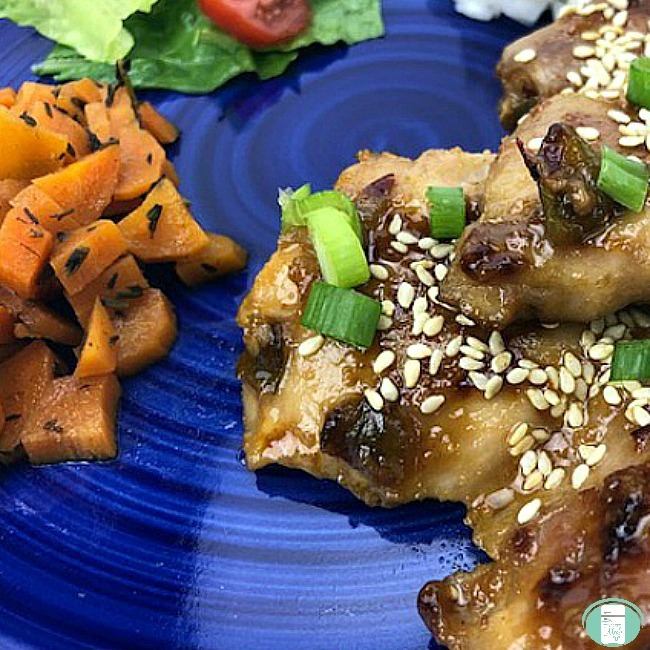 This honey sesame chicken dump meal is just that. Put it together in minutes to create a dish your whole family will enjoy. When you’re making any type of dump recipe, it’s just as easy to make 2 or 4 as it is to make one. Just set the bags out on the counter so that the bottom is open and the top is folded over. This will allow the bag to stay open without being held. Then you can place the chicken thighs in each bag before you go along and “dump” the rest of the ingredients in. The recipe that follows is for one bag (meal). If you’re making multiple meals, add this amount to each of the bags. Be sure to label the bags with the cooking instructions before freezing. Place the chicken in a large resealable freezer bag or reusable silicone freezer bag. Add all the rest of the ingredients except the ingredients reserved for the day of cooking. Give the bag a squeeze to mix the sauce. Get the air out and seal before freezing. Remove the bag from the freezer to thaw. Fry in a skillet on the stovetop over medium-high heat for 20-25 minutes, until it has begun to caramelize on the outside and is no longer pink on the inside. Sprinkle with sesame seeds before serving. You can also top with some fresh sliced green onions. This meal is gluten free if gluten free soy sauce is used. 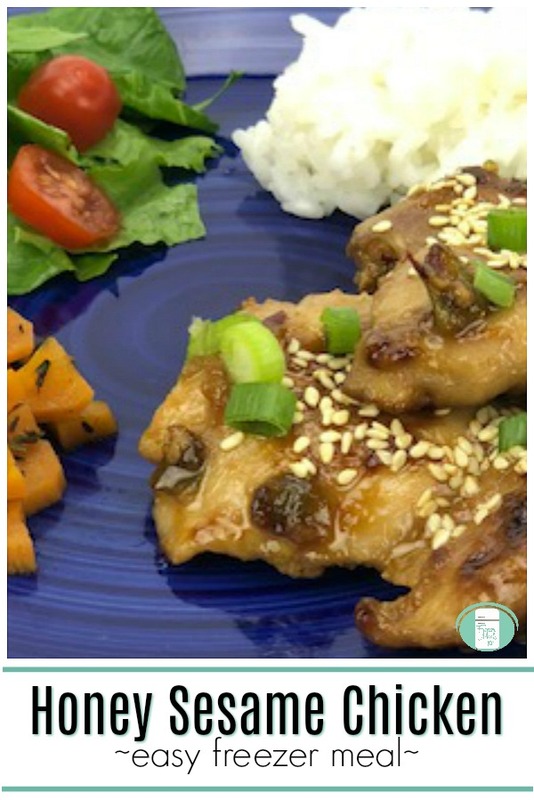 You can adjust the spiciness level of the chicken by adding Sriracha to the honey sesame sauce. Personally, I like things with the heat kicked all the way up, so I add about 2 tsp. of Sriracha to the sauce and then put the bottle on the table when serving so that I can add some to my chicken. A few of my kids like to improve/test their spice tolerance, so they add more to theirs as well. What goes with honey sesame chicken? Looking for more easy recipes you can put together in minutes? 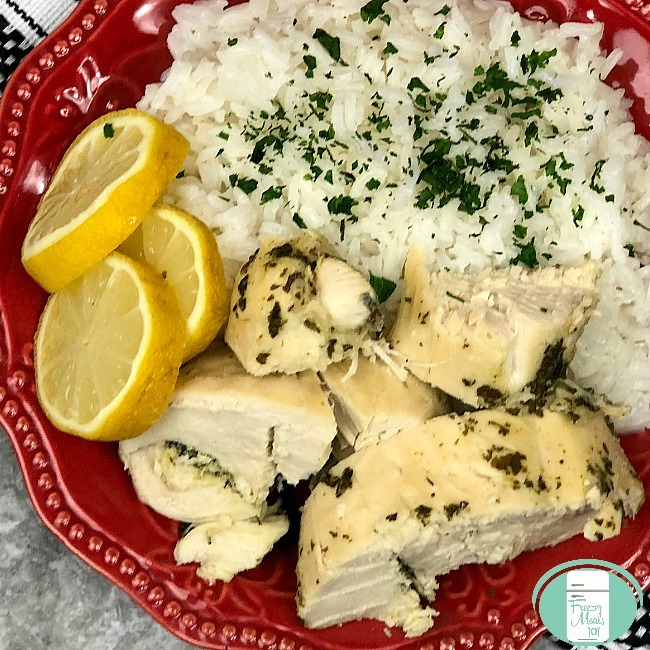 Our Chicken Dump Recipes cookbook contains recipes that are designed to be made in minutes so that you can stock your freezer and simply your life. It also contains shopping lists and printable labels to take away all the guesswork.